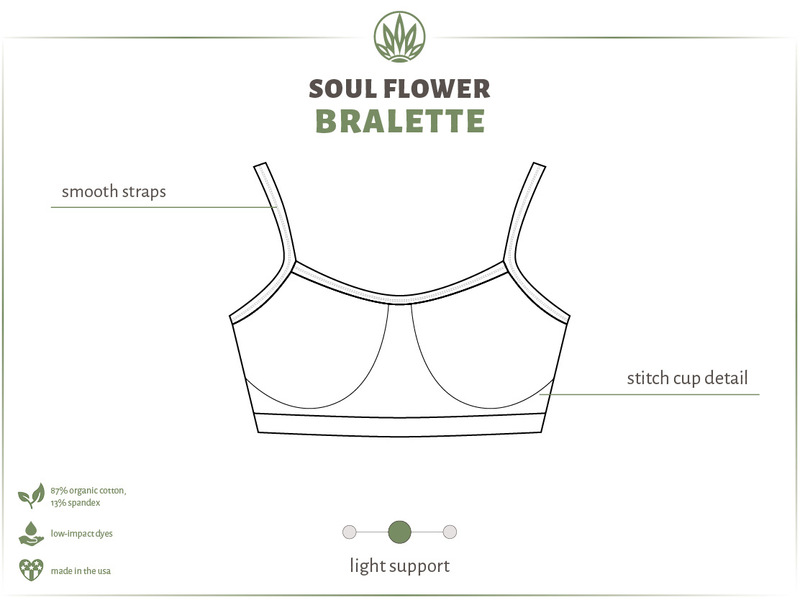 First, we have the Organic Cotton Bralette. This was our first bralette ever, and it’s still a favorite! It’s basic and classic, but has subtle decorative cup stitching for a little somethin’ special. The spaghetti straps align with most tanks. Our strappiest bra is the Strappy Back Bralette in Organic Cotton. This bra has a total of (count ’em) FIVE straps: 3 across the back and 2 that criss-cross in an X shape. Also has front stitch detail and a deep V neck. The X straps fit under many racerback tanks. Up next is our Wrap Bra in Organic Cotton. This bralette features long straps that can be wrapped around the torso and tied. Great for wearing as a top on its own and showing off! 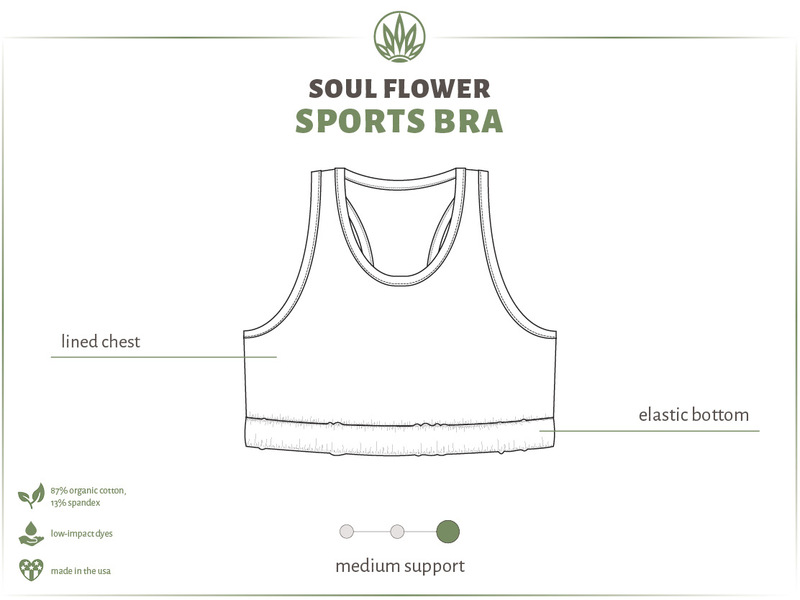 Our newest bralette is the Sports Bra in Organic Cotton. This bralette has more support than the others, and features a classic “sports bra” look and extra lining. Our racerback bralette style fits under most racerback tanks. This last one is almost not a bra, but we’re including it anyway! Our Fitted Crop Tank in Organic Cotton is like a super lightweight bralette. Perfect for those days when you want to feel naked and free. Layer another bra underneath or wear it alone. 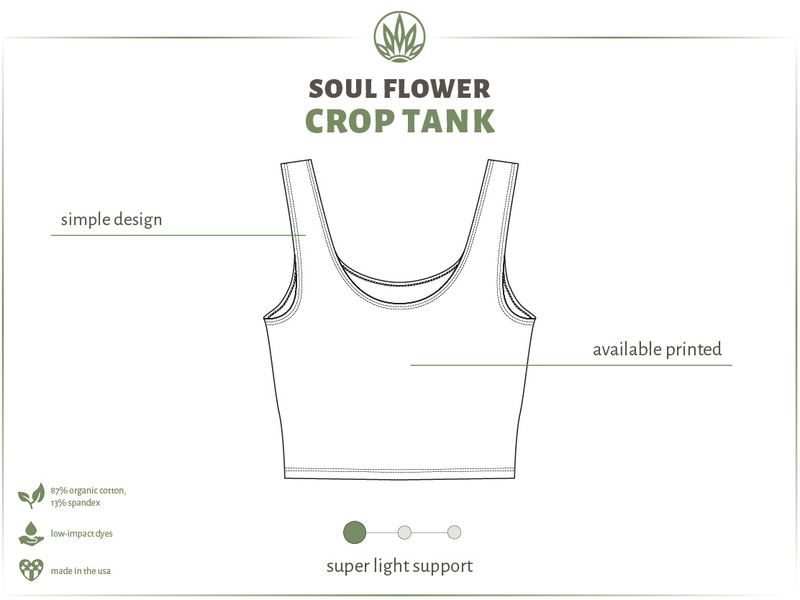 The crop tank comes in solid colors, but is also available printed! 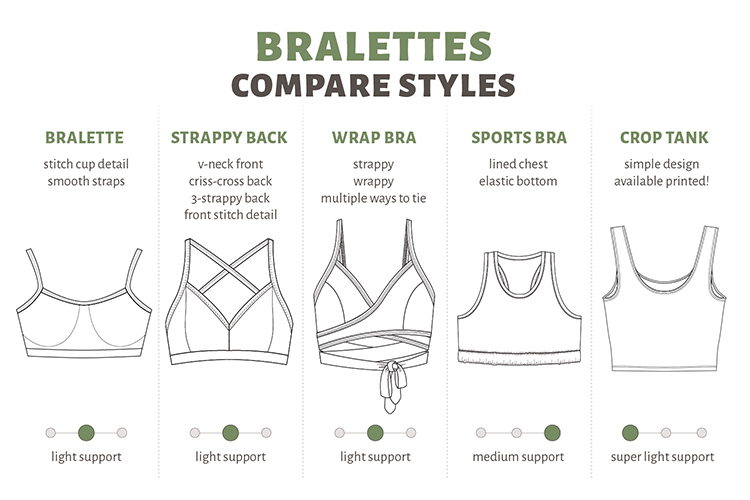 So which is the Best Bralette? We think they are all pretty awesome! !